BEN Hunter beams as he bakes and sells an impressive range of muffins, biscuits and slices at local markets. 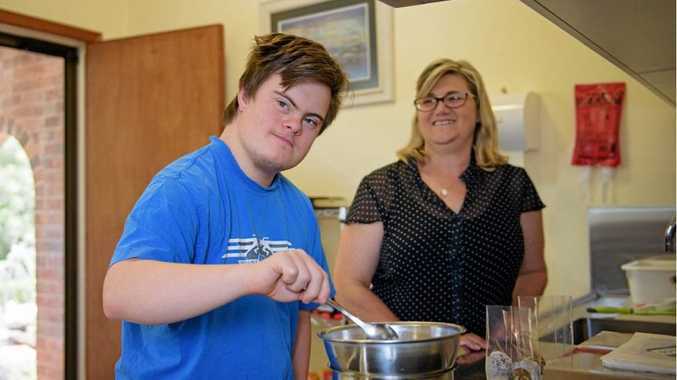 The 20-year-old, who is non-verbal and has Down syndrome, develops his produce in his own commercial kitchen, with his NDIS support workers, Sarah and Nandi, and his mum, Carolyn. Offering wholesome, café-style goods with a healthy twist, Carolyn said Ben's goods were so popular, he often sells out. She and dad, Ian, couldn't be more proud seeing their son participating socially and economically in the community, just like everyone else, in a career he's quite talented at. They said the introduction of the National Disability Scheme, which hit their hometown of Toowoomba on January 1, 2017, meant Ben could continue to foster his passion. "Ben's NDIS funds opened an alternative door of opportunity for us," Carolyn said. "We enrolled him in cooking classes and he just loved it! "His teachers would always say how great his skills were and he would always help them out but it got me thinking, how are you going to further his skills? That's when I started investigating." Wishing to extend Ben's skills and to secure his financial future, the couple took a leap of faith and thought outside the box. Fully equipped with Ben's NDIS funding, and with his career front of mind, Carolyn left her job as a primary school teacher, employed support workers and started Ben & Co, Bakers with Purpose. 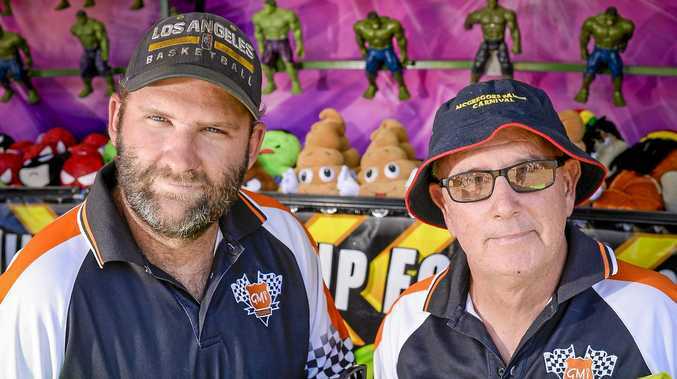 Selling produce at regular market stalls, the family business's focus is to now provide opportunities for young people with intellectual disability - to fill the gap they identified with Ben. "We want young people with intellectual disability to further the skills they learnt at school, then develop and consolidate them. Ultimately it will help them to secure a job in hospitality or retail," Carolyn said. "Often when young people with intellectual disability leave high school they fall through the cracks. "Many struggle to find purpose and direction in their lives. Most are relegated to non-customer-service type work where they don't get as many opportunities to regularly interact with the general public. We want to help change this!" She said their aim was to provide employment and mentoring experiences through Ben & Co. to help support young people with intellectual disability to acquire and further develop their social skills, alongside their hospitality and retail skills. "We want to identify each person's strengths and support them to apply those strengths in the business. Whether it's baking, packing, customer service or background support." Carolyn said her goal was to start small at local markets then one day, move to a permanent shop where they could sell wholesale produce to local cafes and restaurants. "We'd also like to start a cooking school," she said. "We have weekend access to a great facility so my vision is to have two teachers and six to eight students, and if students are interested, we can channel their skills into Ben & Co. so they have purpose. "Then when we get a catering job, we've got young adults from the cooking school we can draw on if they're available. They can see their skills being utilised and the product being enjoyed. Carolyn said this year's main focus was to help young people with intellectual disability to gain meaningful employment. "Just because they have a disability, doesn't mean they don't have other abilities. People seem to overlook this!"